The small lighting post SI-902 is made by cast iron. 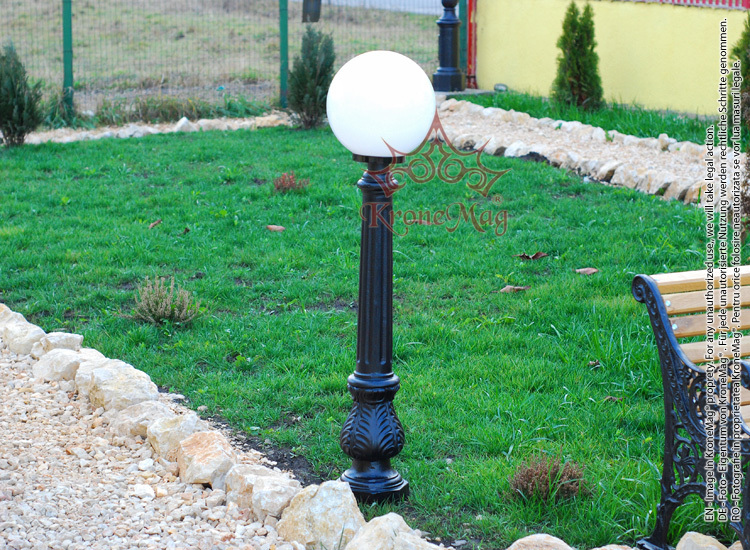 This cast iron decorative lighting post is best suitable for parks and public gardens. The small lighting post is powder coated. The coating is applied electrostatically and is then cured under heat. It is used to create a hard finish that is tougher than conventional paint, which gives the small lighting post a higher resistance over time. The small lighting post can be fixed to the ground through the flange with anchors ( the anchors are not included ). Small Lighting Post SI-941 with GLOBE 300The small lighting post SI-941 is made by cast iron. This ..
Small Lighting Post O1 with GLOBE 400The small lighting post O1 is made by cast iron. This cast iro..
Small Lighting Post SI-947 with GLOBE 300AThe small lighting post SI-947 is made by cast iron and s..
Small Lighting Post SI-982 with PALASIOThe small lighting post SI-982 is made by cast iron. This ca..